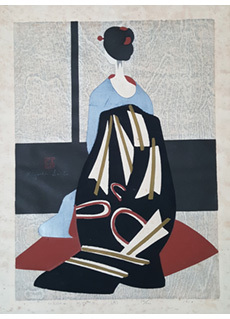 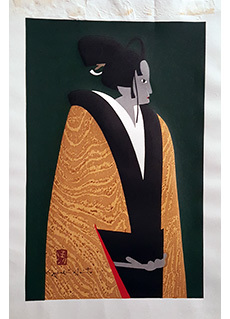 Maiko No. 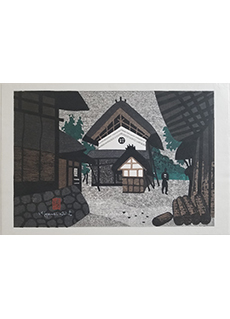 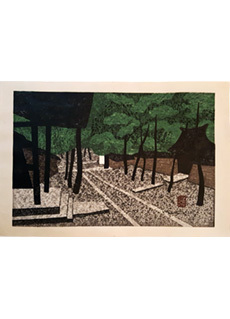 4 by Kiyoshi Saito (1907-1997) Sosaku Hanga Japanese Woodblock Print. 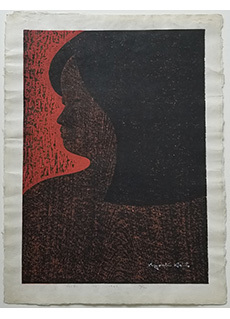 Unlimited Edition printed in circa 1960s. 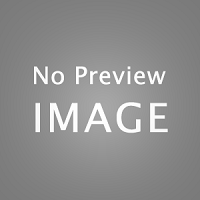 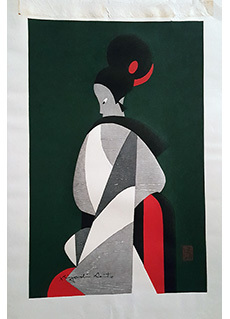 Size: 15 3/4" h x 10 3/4" w.
Condition: Excellent. 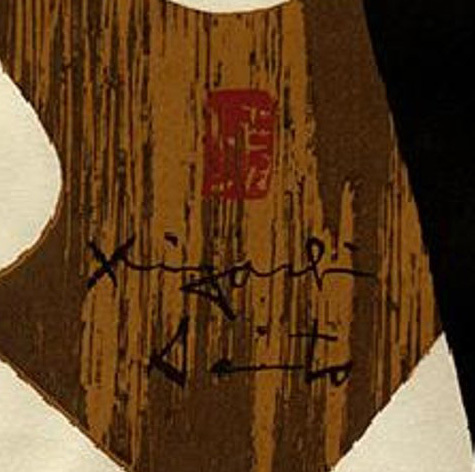 Tape stains on reverse. 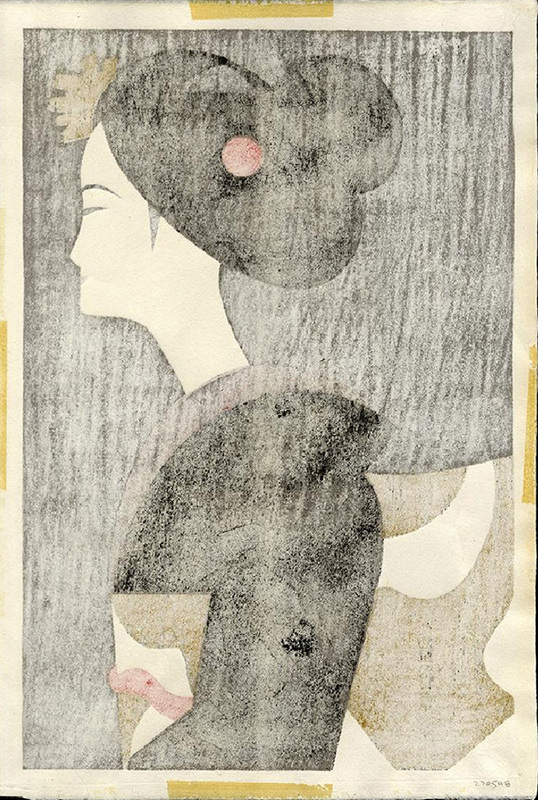 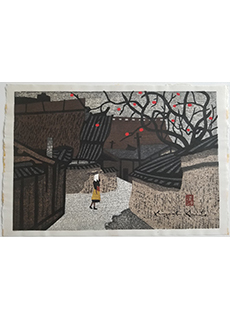 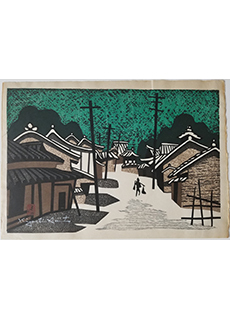 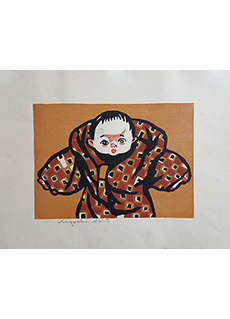 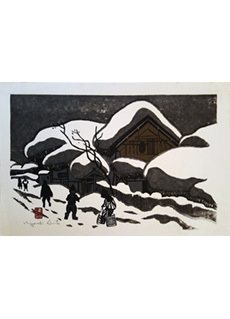 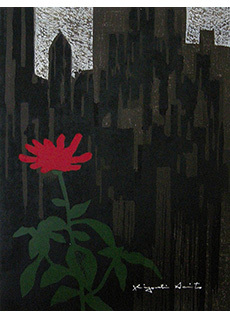 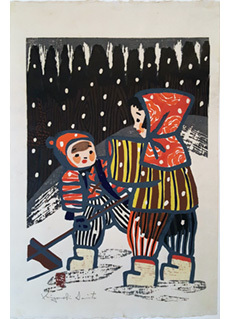 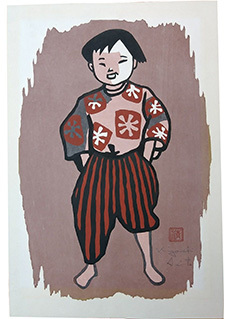 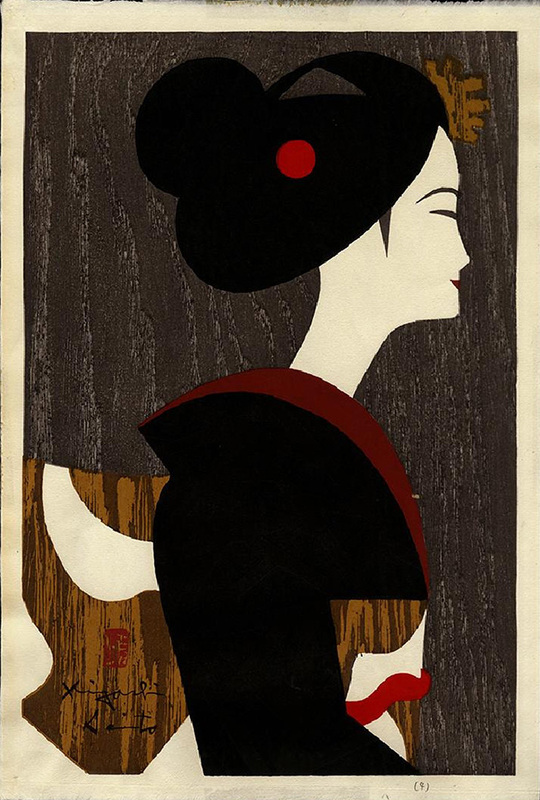 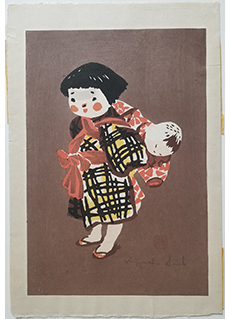 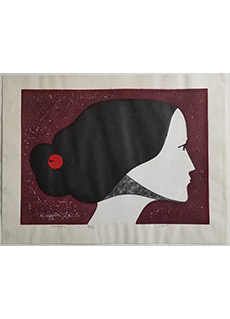 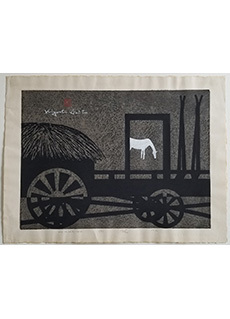 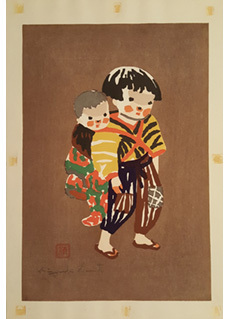 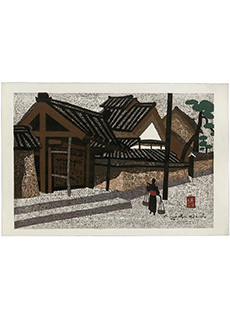 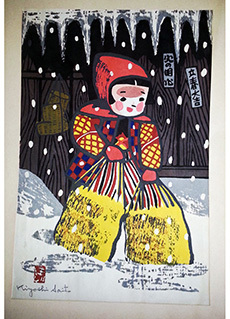 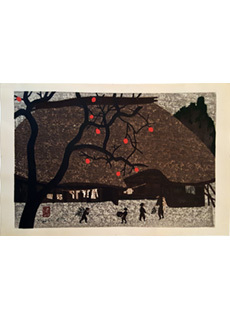 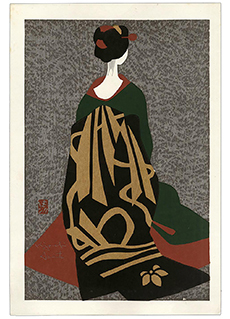 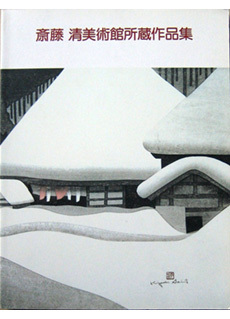 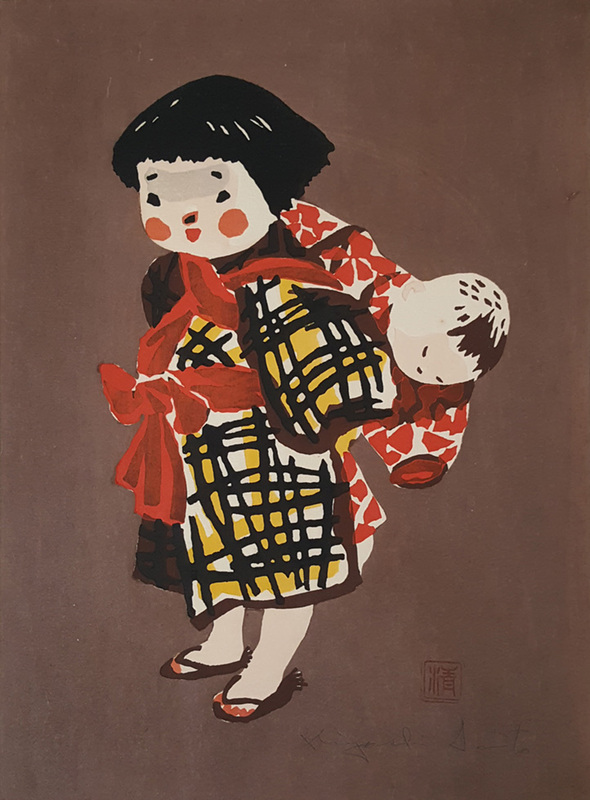 Kiyoshi Saitō is a Japanese was a modernist printmaker known for producing prints with a distinct, graphic flatness. 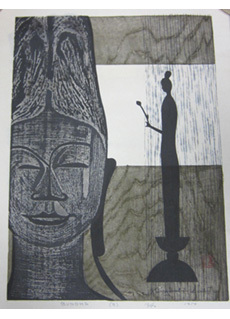 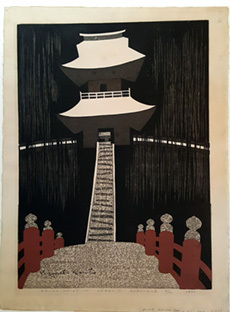 Saitō was part of the sōsaku hanga (creative print) movement, meaning his work was self-drawn, self-carved and self-printed - an artistic process practiced by many modern Japanese artists as a collective departure from traditional publishing houses, which utilized a division of creative and labor art practices.